As any true explorer knows, inspiration comes in many forms. 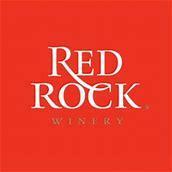 At Red Rock Winery, it comes from the beauty of nature, which drives Red Rock's winemakers to create something spectacular. The result: a smooth Merlot, a bold Malbec, a rich Pinot Noir and a complex Red Blend. Each bottle of Red Rock is crafted as an everlasting oath--a promise--to pour inspiration into every bottle of Red Rock wine.